I'm such a huge fan of sweet desserts with a touch of salty. The combination of sweet and salty makes my mouth light up! 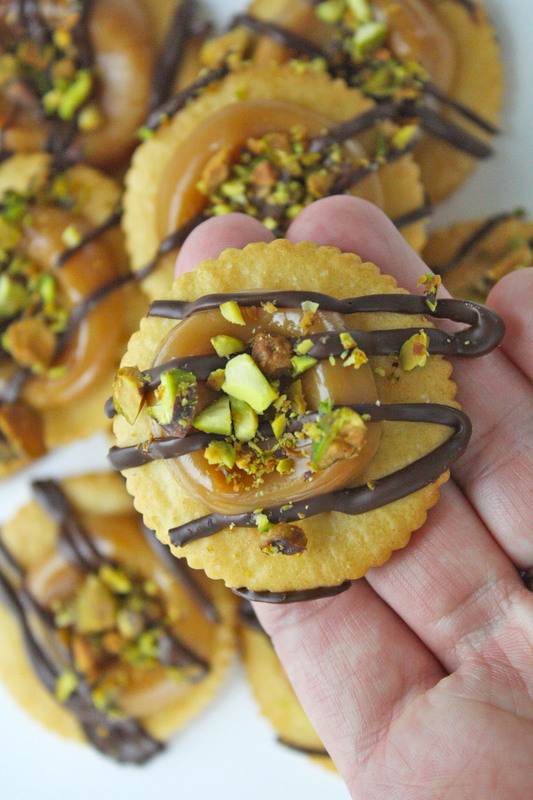 So I'm excited to be sharing these salted caramel cracker bites with pistachio. 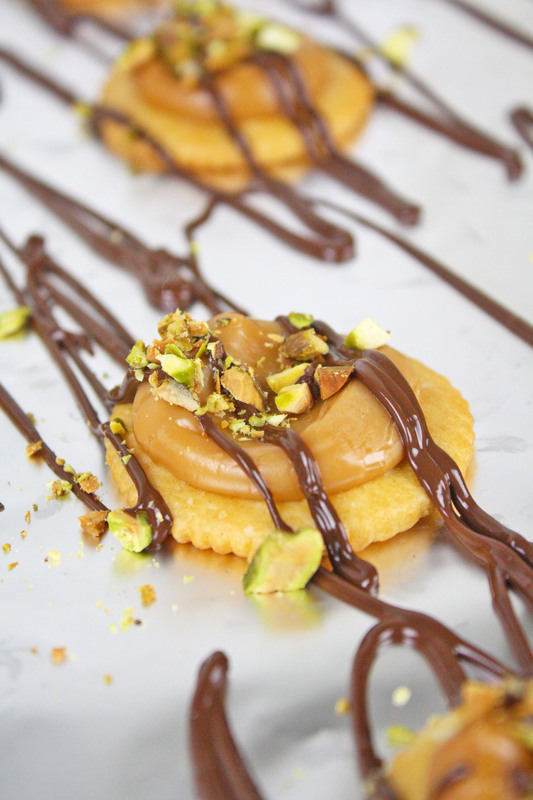 The cracker and pistachio give them salt and crunch. 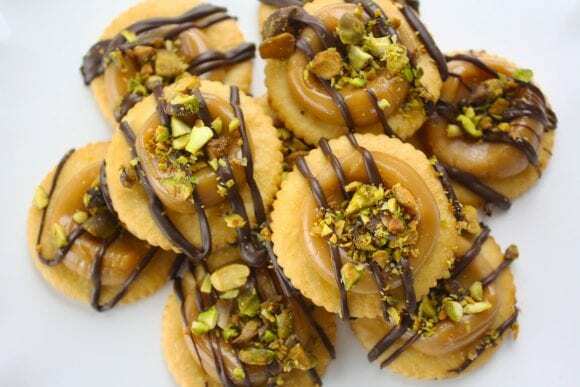 The caramel gives them sweet and chewiness. And the chocolate give them... well, delicious chocolateness! See how easy these are to make! Preheat oven to 325 ℉. Line a baking sheet with foil. 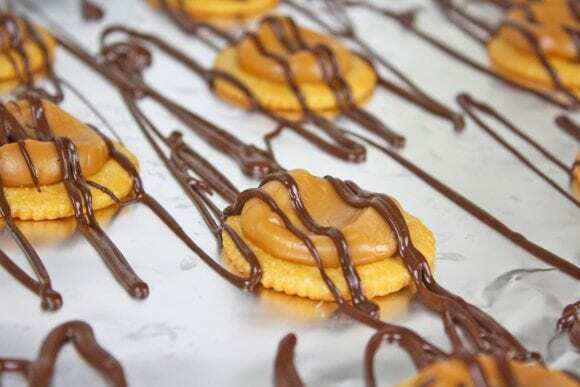 Place Ritz crackers on baking sheet and place one caramel on top of each cracker. Bake for 8 minutes. Remove pan from oven and cool slightly. 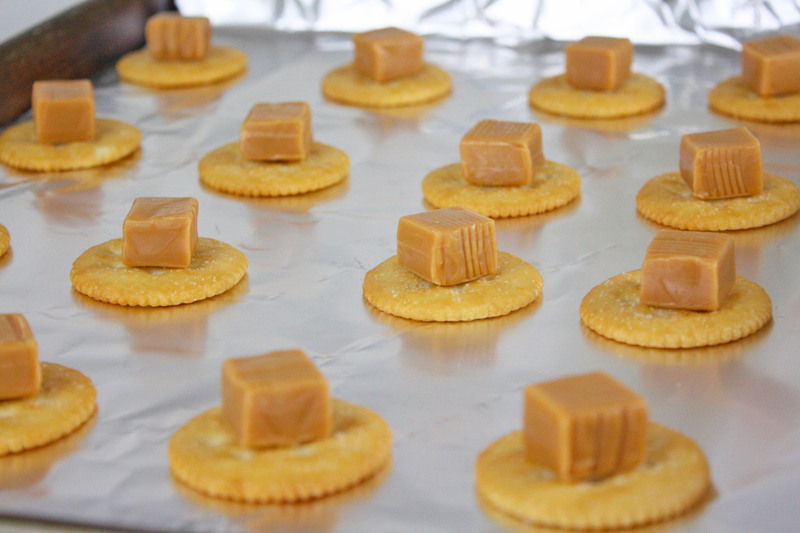 Using your thumb, press down on each caramel. Melt chocolate chips in a microwave safe bowl in 40 second intervals. Stir with each interval until chocolate chips are melted. Add ½ teaspoon of coconut oil to the chocolate chips for a smoother consistency. Put the melted chocolate into a ziploc baggie. Cut the tip off the baggie and drizzle chocolate over the crackers. 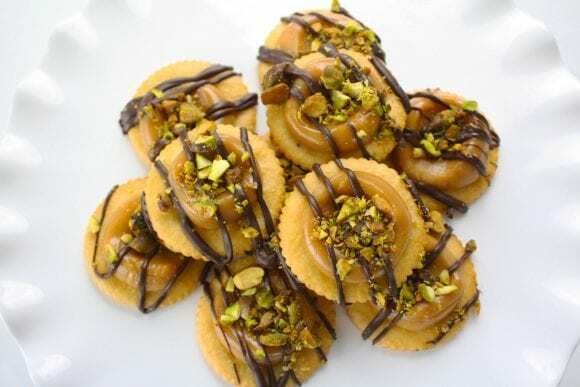 Sprinkle finely chopped pistachios over the top of the chocolate. Place crackers in the fridge to chill. They make my mouth sing!